It's no surprise that the concept of demonic possession is routinely derided by mainstream science. I was also once of that mind, but experiences within the realm of multi-dimensional healing changed my point of view. If you have read my story you will know that I come from a very technical background. Beginning with a career maintaining military aircraft in the Australian Defence Force, then moving on to study dental technology and applied clinical nutrition, before entering into the world of energy healing. Most of my working life has involved following technical procedures and scientific references. So you can appreciate when I say that I find it just a little bizarre to be now writing about demonic possession. Trust me when I say, if you are feeling rather sceptical about the subject of demonic possession I don't blame you. I'm not a doctor of any kind and I can't offer you a recognised qualification that would suggest you need to believe me. All I can do is describe our work and the experiences we have shared, when dealing with some very challenging cases. In the end, as is the case for all our claims in energy healing, the only proof I can offer is in the results we achieve for our clients. When I say We, I mean myself and my wife Chris working as a team. Demonic possession in 2017...surely not! It's the year 2017, surely we are educated enough to relegate such nonsense as demons and demonic possession back to medieval times when a disease or mental disorder would have been interpreted as bewitchment. I mean really...we're more advanced than that aren't we? The answer is yes, the human race has advanced exponentially over the last hundred years. What we're describing in terms of possession is simply energy in some form, and that energy is part of our existence whether you believe it or not. The energy we are describing has been created by humans through what some would describe as "dark consciousness". In other words, residual energy from negative thinking and actions, especially violent actions, has the potential to accumulate. Remember that humans have inflicted violent acts on each other for thousands of years. Some of that created dark energy, can linger, and can be reformed into further acts of abuse or projected towards others in a different shape. As I describe in the pages exploring multi-dimensional interference, negative thoughts, emotions and intent, all resonate at a particular vibration. This vibration tends to coalesce into what some term as fourth dimensional energy. It's basically the chaos of the world that has no specific form or body, but coalesces due to mutual attraction, all resonating around a similar frequency. It's all around us and part of us, and it's this chaos that offers the potential for some energies to take form. As much as people like to believe it, it's not the work of Satan or some evil underworld. It's all created by us. The sooner we accept that this type of energy exists, the sooner we can dissolve it. In my opinion it is simply the opposite of love. If we were to love each other more, without applied conditions, dark energy or demonic energy would not be able to exist. Unfortunately, humanity has some way to go yet, and in the meantime there is the potential to be affected in significant ways. Hopefully this will become clear as I explain further. Firstly I need to describe our experiences because many readers are likely to have preconceived ideas of possession, probably formed around some scene from a Hollywood, horror movie. We are commonly approached by clients who are experiencing some malady they just can't resolve. Despite exploring various healing modalities, including allopathic medicine, the experience or condition persists. They may present with any number of descriptions including repugnant voices in the head; uncontrolled behaviour including outbursts of anger; thoughts or urges the client recognises as not their own; thoughts of self harm; disturbing visions or images in the waking state; horrific nightmares; smelling offensive odours and even feeling inappropriate physical touching or sensations; as well as simply feeling a presence around them. In extreme cases, it's more than likely the sufferer has been given a psychiatric diagnosis at some time and even been on medication. The treatment or medication may have worked for awhile, but the client always seems to end back in the same situation or experience. Any age, any gender, the potential is there. For the record, I'm not suggesting that mental disorders are the result of demonic possession. They sometimes go hand in hand, just as sometimes we become aware of these energies without any of the previous descriptions being present. You can understand however, that anyone describing those experiences would be deemed by society to be mentally unbalanced. What we tend to find is that some trauma in the past has caused a mental or emotional imbalance that allows an opportunity for demonic energies to attach which can then further aggravate the condition or prevent successful treatment. But that's not the only reason. Having said that, there is the potential for anyone to be affected by demonic energies at any age. As well as direct contact from clients, we regularly receive calls from concerned parents on behalf of their children. Having explored every conventional avenue, parents contact us in a last ditch effort to understand what is happening to their young child exhibiting abnormal behaviour. Occasionally demonic possession is involved, but it is very rare. Hollywood movie depiction of demonic possession. Getting back to the Hollywood movie concept of possession, we are not presented with head spinning, or climbing walls or the client morphing into some snarling beast. Although I know of colleagues being thrown across the room by an invisible force, our experiences are not quite as dramatic. Nonetheless, they can be disturbing once we identify and entrap any demonic energies. In severe cases there can be a violent physical reaction from the client, which may include verbal abuse, spitting and even uncontrolled bouncing or trembling, while lying on the therapy table. Along with a complete change in their voice, speaking in an unknown language can occur. It is a little disconcerting when a booming, male voice issues from a young woman. The energies may also take the guise of an innocent child to throw us off track. It all depends on the level of control exerted by the afflicting demonic energy. From the clients perspective they often feel they have lost control of their body and at the very least there is a lot of fear involved. Cultural or religious beliefs supporting the concept of demonic possession will definitely add to the fear factor and empower the energies involved. However, the presence of demonic possession is not always evidenced in such a dramatic way. There have been occasions when Chris and I have recognised demonic energies involved in some imbalance and the client is oblivious to its true nature. They may simply believe they have an addiction or some aberrant thought pattern for example, which is true, but it's the controlling energy that's driving it. I appreciate all that I have described seems surreal, and many people including some therapists or healers, choose not to accept the possibility of demonic possession. It was never on my radar either until we were confronted with it. You can always do your own research, and as it is an ancient subject there are numerous sources of information from the Christian bible to modern scholarly texts. In fact, whole modalities have been developed just to deal with entity attachment. It's not for me to comment on, or judge other techniques or beliefs within this field of healing. However, I do want to make one important point. And that is, demonic possession is not the result of evil, human spirits or lost souls. Let's be very clear about that. So the question is, what is it, and perhaps why or how does it occur? 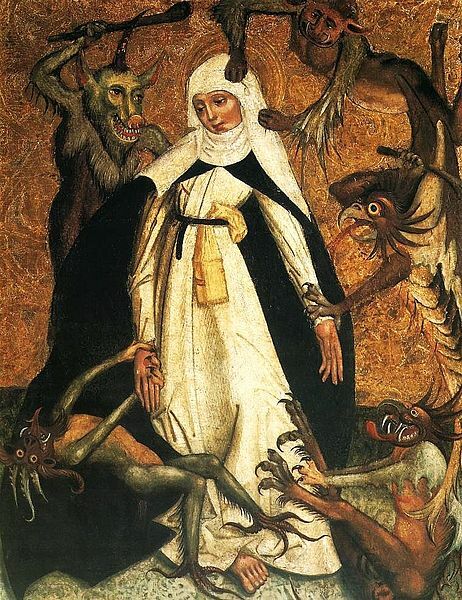 St. Catherine of Siena Besieged by Demons, tempera on wood panel, circa 1500; anonymous Polish master; National Museum in Warsaw. As much as I'd like to stick my head in the sand and believe the world is a rosy place to live in, we all know that's not true. Wars, conflict and violence continue to disrupt many nations around the world to the point of being a way of life for many. This conflict creates violent energy and in turn feeds off that energy. We also need to consider there has been global conflict in some form, for thousands of years, and the resultant energy that's generated just doesn't disappear. Consider that within any conflict, whether it's within a personal relationship, or on a national scale, energy is created through emotional pain, physical pain, and anger. Basically any emotion encountered during times of trauma and stress can be released into the chaos of the fourth dimension. This is what we would deem as a very low vibration energy; basically the opposite of divine love, and we'll refer to the energy released as “misguided energy”. This misguided energy may be an unconscious result of stress and trauma, as well as being a conscious, deliberate act in the form of anger directed toward another being. Some of that energy will dissipate, and some of it will not. Having been created, and being of a particular vibration, the misguided energy will be attracted to other similar vibrations. In time, there is the potential for the misguided energy to coalesce and grow. Depending on a number of factors, it also has the potential to develop awareness or consciousness or intelligence if you like. In other words, there is the potential for this misguided energy to recognise it's own existence and you could then class it as an entity in it's own right. And yes, this energy is definitely classed as inter-dimensional interference as described in our other web pages, but it really is in a class of it's own. So then, misguided energy in the form of entities could be graded according to their level of consciousness or intelligence. Although we tend to treat misguided energy dependant on the level of consciousness perceived, there is no specific formula or scale for this. On one end of the spectrum, the entity does not know how, or how it was created, only that it exists. And it is inexplicably attracted to other vibrations or energy similar to it's origins, whether that be anger or other lower vibrations. It will take action to survive or continue its existence through instinct. On the opposite end of the spectrum, wherein the entity has a much higher level of consciousness, it will manipulate people or situations in order to grow and evolve in its own right. We are now getting into the realms of demonic energy, for want of a better description. If a human spirit allows control by this energy, a person can become totally overwhelmed. As I previously suggested, this energy will be attracted to other vibrations of similar form. As an example, anyone holding anger has the potential to attract more of the same, and I have also described this within the pages dealing with interference. Then there are those who have developed imbalances through experiencing trauma and abuse in their life. This has the potential to allow demonic energies to attach as it recognises the vibrations which created the imbalances. This could be on any plane including spiritual, mental, emotional or physical. 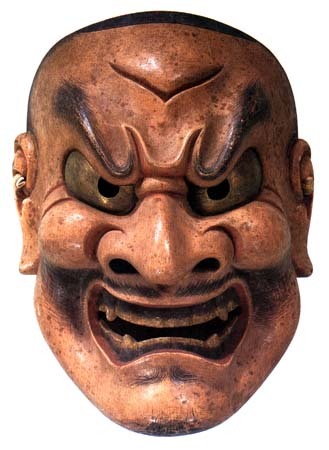 There are instances where a person may invite in these demons for protection. Occasionally we also find clients, particularly some children, who are susceptible to demonic possession simply due to their make-up. Demonic energies do seem to be more prevalent in conjunction with psychosis due to trauma. If the spirit or soul of a client has been severely traumatised there can be a fragmentation or splintering of the soul. The soul may also be totally disconnected from the physical being. All of the above makes it extremely difficult for the soul to deal with external interferences. 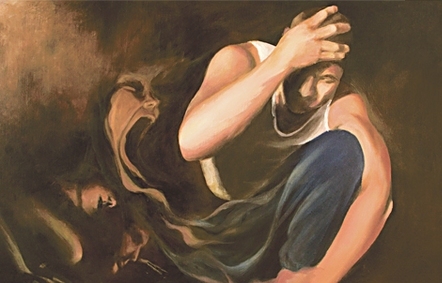 Complex post traumatic stress disorder (C-PTSD) and dissociative identity disorder as examples, can leave a person very vulnerable to demonic type energies. These demonic energies could have attached long before any diagnosis is made within the journey of a person and aggravated any existing imbalances. This is really a very complex subject and again I have to say that I'm not a doctor, I can only go on my own observations. 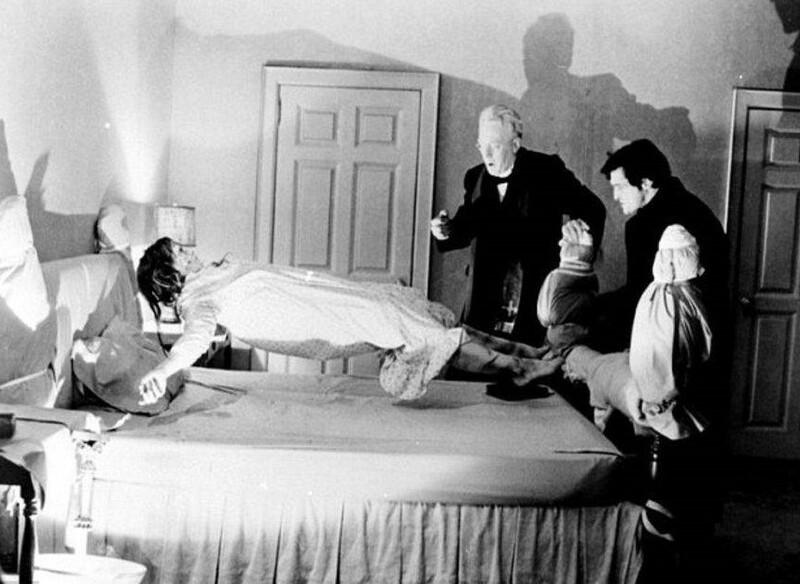 Is it possible for demonic possession to cause a psychosis? I'm sure it is, but you have to ask the question, how did it gain access in the first place? Drug use is a prime, precursor to demonic possession. Drugs eliminate the barriers to crossing into other dimensions and without the safeguards in place, a user can connect with some very nasty demons. The phenomenon is not called a “bad trip” for nothing. There is just one other source of demonic energy I want to mention. Not only do we create our own demons, and have done for thousands of years, we are also vulnerable to this type of influence from outside the planet. There's nothing like a war-ridden planet to attract lower vibrations from elsewhere, or demonic entities willing to take advantage of the situation. Interesting thought, isn't it? "Psychosis," a painting by Amber Christian Osterhout. When we are presented with extreme cases of demonic possession, we have to carefully decide whether we should get involved, as they are usually very complex. In order to permanently clear such influences, we commonly have to help the client release a lot of old trauma. We sometimes have to go looking for the splintered aspects of the client's spirit and bring them back to a whole being. Occasionally there are cases where the client has inadvertently opened a door and it's a simple case of closing it and clearing the demon, but that's not very often. There's no doubt that beliefs in demonic possession varies between cultures, nations and religions. This goes hand in hand with concepts such as curses. Some cultures are absolutely fearful of the evil eye, or being cursed, or punishment from their God. It's so ingrained that any little upset in life is automatically considered as some form of curse or demonic influence. This attitude goes toward creating a form for the influence, such as an image of Satan or some other demonic apparition. It is indeed possible that the person is affected by an external force, but to label it as demonic is extreme in most cases. In giving the influence form, there is also an amplification of it's affect due to the fear and ignorance involved. 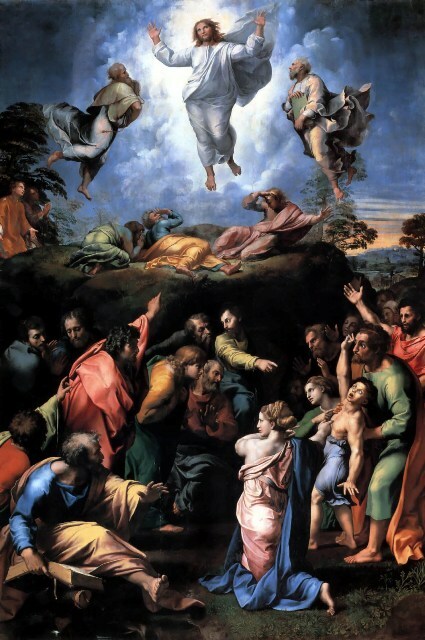 A painting by Raphael, The Transfiguration, 1516-1520, oil on panel; Vatican City. The lower half of the panel shows Jesus casting out an evil spirit from a boy, just after returning to his normal state. To those who say they do not believe in demonic possession, I was once of the same mind and I sincerely hope you never have the experience. Unfortunately the human existence does remain vulnerable to external energies and influences. We always will, until we change the way we act toward each other. Indeed, not only do we need to change our actions, we need to change our thoughts. We are regularly asked the question, "what can I do to protect myself?" 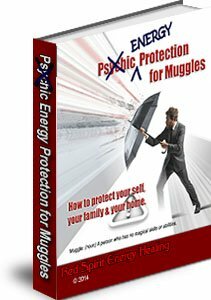 In response to this question and more, we have collated our various techniques for clearing and protection into one eBook, Energy Protection for Muggles. We cover everything from clearing the family home to personal protection on multiple layers. These are techniques that can be applied to yourself, family members and even your home for a holistic approach to energy protection on a daily basis. It should be noted however, that if you are experiencing significant interference as described on this page, specialised help in clearing such influences will likely be needed. Two other pages worth considering in regards to external influences are, Extraterrestrial Implants, and the page describing Inter-dimensional Interference. We have collated our various techniques for clearing & protection into one book. These are techniques that can be applied to yourself, family members and even your home for a holistic approach to energy protection.